Six out of 10 Americans own some type of pet, which shows what an integral role pets play in our everyday lives. Pets have become ingrained into our societies, and it’s not unusual to want to celebrate their presence in our lives. Whether you want to dress your pet up, shower him with new treats and toys or bring him into work to show him off, there are myriad ways you can celebrate your pet. These 20 blog postings will make you laugh as you look at all of the darling pictures of pets and the different ways you can celebrate your own. 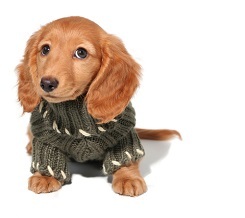 Many pet owners enjoy dressing up their pets in pet-size clothes, and it’s easy to see why. Tiny sweaters to keep a small pet warm during the cold months and costumes to celebrate Halloween are just a few of the ways you can indulge in clothing for your pets. There’s even a holiday in January specifically celebrating dressing up your pet! Take a look at these five blog entries to see how people are dressing up their pets. Celebrate National Dress Up Your Pet Day! Indulge in National Dress Up Your Pet Day by picking out the perfect outfit for your favorite companion. 10 Dogs Celebrating National Dress Up Your Pet Day This post showcases several adorable dogs that are all dressed up. It’s a Celebration: Today is National Dress Up Your Pet Day While this holiday is actually in January, you can dress up your chicken any day of the week. Dress Up Your Pet Day: Share Your Furry Photos Take a look at these furry friends in all their finery as they celebrate Dress Up Your Pet Day. National Dress Up Your Pet Day You’re sure to draw inspiration for your own pets after you check out these adorable pet pics. A fun way to celebrate your pet is to throw him a birthday party with other dogs you may know. If you don’t have room at your place or are not comfortable with a bunch of extra dogs in your house, you may want to meet at a local dog park for the party. Dog-approved cake mixes are available for dogs now, or you can make dog-friendly cupcakes and party favors using the blog posts listed here. 7 Ways to Celebrate Your Dog’s Birthday New York Style Read all of the suggestions listed in this post for ways to celebrate your dog’s birthday. Celebrating Your Pet’s Birthday! Treat your pet to a spa day on her birthday or spend some extra time with your pet to celebrate her special day. Pets Dogs/ How to Celebrate Your Dog’s Birthday Learn how to throw a birthday party for your dog that includes all her canine friends. Do You Bring These Birthday Traditions to Pets? Take a look at these human traditions that you can do for your pet. Daily Delight: Celebrate Your Furrbaby’s Birthday The recipe for this dog-friendly cupcake is perfect for celebrating your dog’s birthday. A ‘Gotcha Party’ is a celebration of the day you adopted your pet and welcomed him into the family. Most of the time there’s no way to know when a pet’s birthday really is when you get them from a rescue situation, which is why people have started celebrating the day that they got their pet. For ideas on how to throw a ‘Gotcha’ party, read these five blog articles. Celebrate You Pet’s “Gotcha Day!” If you don’t know your pets actual birthday, celebrate their “gotcha” day instead. Happy “Gotcha Day” to Scooby! Read about how this pet owner celebrates her pet’s gotcha day. Sunday- Final Day of Yoko’s 20th Gotcha Day and Birthday Party! A rather humorous post from a cat’s perspective. A Happy Gotcha Day Party Weekend! This is a funny post written as if there was a real party for three cats. Happy Gotcha Day to me my Human! Check out this cat’s blog post, which discusses how she celebrated the day she picked out her human. “Take Your Dog to Work Day” is the perfect way to show off your favorite furry friend. This day is meant to not only celebrate your dog, but to encourage other people to adopt pets of their own. To learn more about these efforts look at these five blog entries. Celebrating Take Your Dog to Work Day! Celebrate your pet by taking them to work with you. Celebrate Take Your Dog to Work Day Go through the steps to make sure your dog is ready to go to work with you. Celebrate National Take Your Dog to Work Day Friday at the Annual Dog Mob & Fair Learn how other people celebrate their dog at this annual event. Celebrate Dogs and Encourage their Adoption With One Easy Step! Get a little history of the ‘Take Your Dog to Work Day’ event. VPI Celebrates Take Your Dog to Work Day Check out these helpful tips before you take your dog to work.